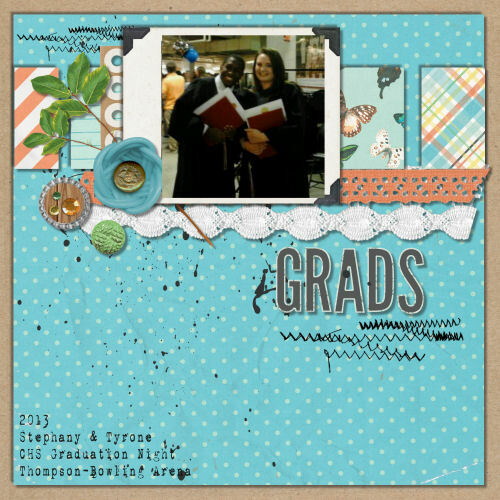 Bits & Scraps Of My Life: Digitally Sweet Challenges #41 Celebrations! Digitally Sweet Challenges #41 Celebrations! This weeks challenge at Digitally Sweet is all about Celebrations! And I am celebrating being back on the Design team!! WOOOT!!! I'd like to take a second to thank my old friends for welcoming me back and the newer team members for accepting me as one of them.....it's good to be back!!! This weeks challenge is a fun one.....who doesn't love a celebration? Or prizes??? Our sponsor for this week is the awesome shop Template Dreams! 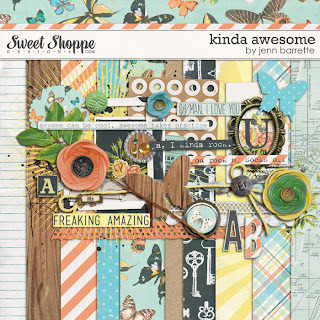 Trish is celebrating as well...she has a brand new store at Scrap Takeout, and she has some awesome kits and templates! She was so generous with our team that we all got goodies to play with!! Thank you Trish!!!! And this week the winner of our challenge will get a $5 gift certificate to her amazing shop! And let me tell ya, $5 goes a long ways in her shop!! And the celebration I scrapped was graduation!!! This year Jacob graduated HS. I didn't get many photos because I was stuck using my cell phone and it only has a 3x zoom.......we were in Thompson Bowling Arena and that place is huge....and of course we were in the nosebleed section. I caught a photo afterwards behind the scenes of a couple of his friends. Stephany and Tyrone. Stephany is one of Jacobs ex g/f's......I love this girl like she's mine. Thankfully she still loves me even tho he screwed up.....lol. I loved this template and it really allowed me to kinda play around add my own touches without totally changing the template layout. As always, I created my page with PSPX. And I used this amazing kit from Jenn Barrette and Sweet Shop Designs called "Kinda Awesome"
I can't remember the name of the font....its a free download from Dafont.com tho....I'm thinking it's called 1942 but don't hold me to that!! I loveeeeeeee this!! Gorgeous! I love love love the colors and the design!!! Welcome back to the team! It's good to have you back and way to jump right in with an awesome LO!! Love this! Hi Teena, love your LO! The design is gorgeous!